Bee Sure – Your Trusted Choice for Home Inspections. Bee Sure Home Inspection Services, LLC provides residential home inspections, Radon & Mold Testing to Chicagoland/North Suburbs including Grayslake, Gurnee, Lake Villa, Lindenhurst, Hawthorn Woods, Mundelein, Round Lake Beach. Counties of Lake, McHenry, and Northern Cook. Mold is sneaky and often hard to detect. Make sure you know if action needs to be taken. More than just an inspection GUARANTEED. What makes us the best choice for your inspection services in the Chicagoland, North Suburbs area? Hello! I am John Reim, owner of Bee Sure Home Inspection Services, and a Certified Master Inspector. I have been a resident of the Grayslake community since 2001. With over 14 years of experience as a licensed Illinois home inspector, I am well qualified to handle your inspection needs. As a local member of our community, I have a strong knowledge with many of the homes throughout Lake County and the surrounding Chicago Metro area. Only NACHI-certified home inspectors have the education and experience it takes to ensure that you will receive a professional and thorough home inspection. I have over 14 years of experience and continue my education every year. 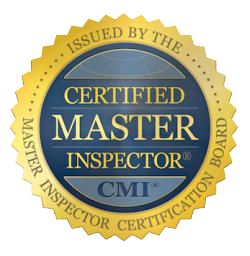 Board Certified Master Inspector and Radon Measurement License through the International Association of Certified Home Inspectors. Bee Sure has completed many different types of inspections. Every inch of the property is inspected including all structural, electrical, air conditioning system and plumbing. We will notify the client of any item that is noted. We provide quality color photos with every inspection. You will understand every item by the time we are finished. Since the inception of Bee Sure Home Inspection Services in 2004, I have provided honest, objective, and thorough inspection reports. From the first contact with us through the inspection delivery and explanation of your report, you will experience the ultimate in professionalism. With hundreds of satisfied customers, Bee Sure is known for delivering quality service. I invite you to come along and watch as I inspect your home, and you are free to ask questions at any time during your home inspection. You satisfaction is my priority. Read our reviews.